With a big, beautiful moon. Merge at the CVA, into which I was fortunate enough to have a painting accepted, closes this Sunday. There is audio of the CVA director Jennifer Garner being interviewed on The Untitled Art Show here. Metropolitan State College of Denver’s Center for Visual Arts is a well designed, exciting addition to the Santa Fe Arts District. I can’t wait to see the shows they bring us in the coming months and years. I will have a piece in this show at the beautiful new CVA. 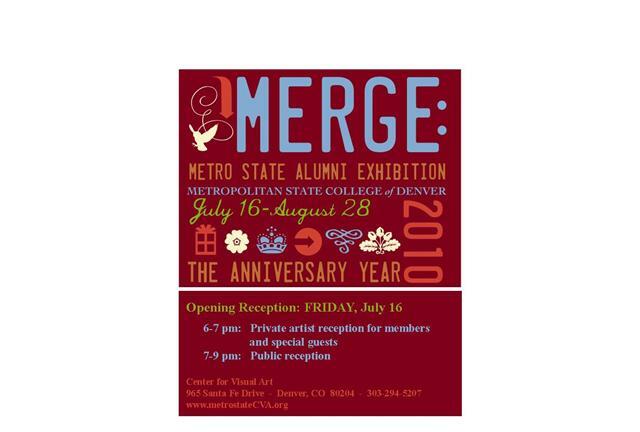 “Merge” opens with a 7:00 pm reception this Friday July 16 (I wish I could say that Joe Cocker is going to be there) and runs until August 28.